Hey family! So I have no time 😦 so sorry! Things are great here in Livonia we picked up 2 new investigators this week that we’re hoping to continue to teach. We’ve tracted A TON because the elders in the area we’re office elders and didn’t really get to proselyte that much. Our planners are full of member dinner appointments that the AP’s set up for us (haha they’re in our ward and are awesome) and tracting! Met some awesome people but I don’t have time! 😦 next week I’ll update you more! here are some pics of me and my comp/this week. WE went to the holocaust muesuem today that they have here for p-day with a non member (she offered to take us) so sweet. Weird being at one here after actually going to Auschwitz and Birkenau 2 summers ago with dad and Loren-so cool. Kenzie. Write me letters with updates. Thanks so much again for your love and prayers. I have been transferred to the livonia west area in michigan. It’s the same ward as the Mission home and the AP’s (the ward is split into 3 areas). So our district is awesome. I have a new companion Sister Tafua from hawaii she’s 21 and a go getter! Love her! We are replacing the office elders spot (i dont know how they worked that) but we have no investigators. We have a few less actives and the AP’s are giving us dinner appointments to meet members EVERY night! So we’re going to get to know the ward real quick. They haven’t had sisters in this ward for several years now so we’re excited to be there. if anyone’s written me lately it might take a bit for me to get those letters since Sister thompson (my old comp.) will need to forward them here. I am so stressed haha training/white washing is CRAZY. But I am so blessed and I feel EXTREMELY humbled that the lord trusts me enough to do this. president said this is an experiment putting sisters in the ward to get the members more involved with missionary work. More specifically getting them to be more converted and as missionaries we can help teach them too. We;re going to be doing FHE’s in member homes teaching from PMG. 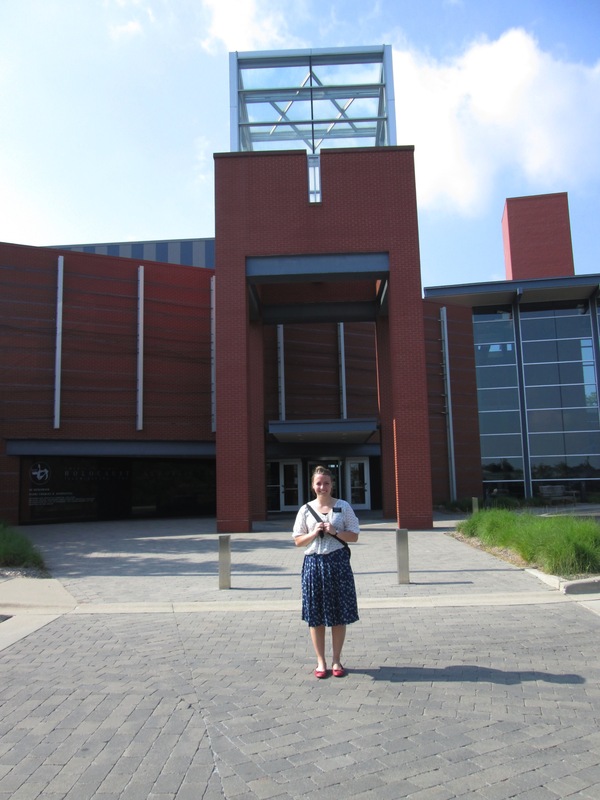 Again…this is an experiment and also to build more trust between members and missionaries. Besides dinner appts. with members we will be TRACTING A LOT this transfer! Pray for me please to go forth with faith to find and baptize! You’ll hear from me again on p-day 🙂 not sure what time we’ll email but until then I LOVE YOU ALL! I”M SO EXCITED AND HAPPY TO BE HERE!!!!!!! The Lord has blessed me and although I am so beyond stressed it is going to be awesome and the growth is happening. There is no comfort in the growth zone and no growth in the comfort zone-some missionary. 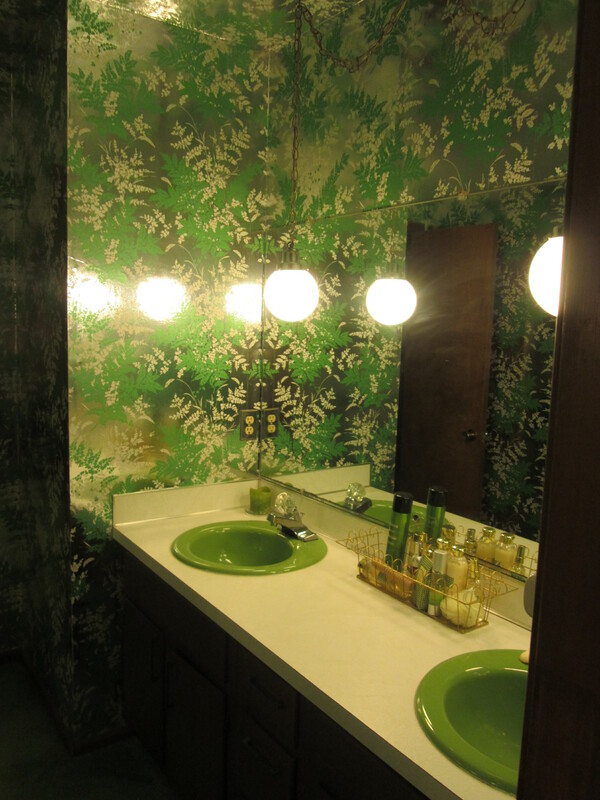 We went to a member’s house for dinner and her bathroom totally looks like G’pa & G’ma McCleves in the 2 story. HAHA So rad! With the other visa waiters at the new missionary training meeting. All 4 of us are staying this next transfer except for Sister Remy- she flies to Sao Paulo tonight!! Mission Conference-we went outside to bury “weapons of war” and sang “How Firm a Foundation.” That’s President and Sister Holmes you see 🙂 LOVE THEM! They’re going home after 3 years of service. This week was crazy!!! We had so much going on! Okay so tuesday we had a new missionary training meeting which was awesome! Basically just recapping what we’ve learned over the last 6 weeks of being missionaries. 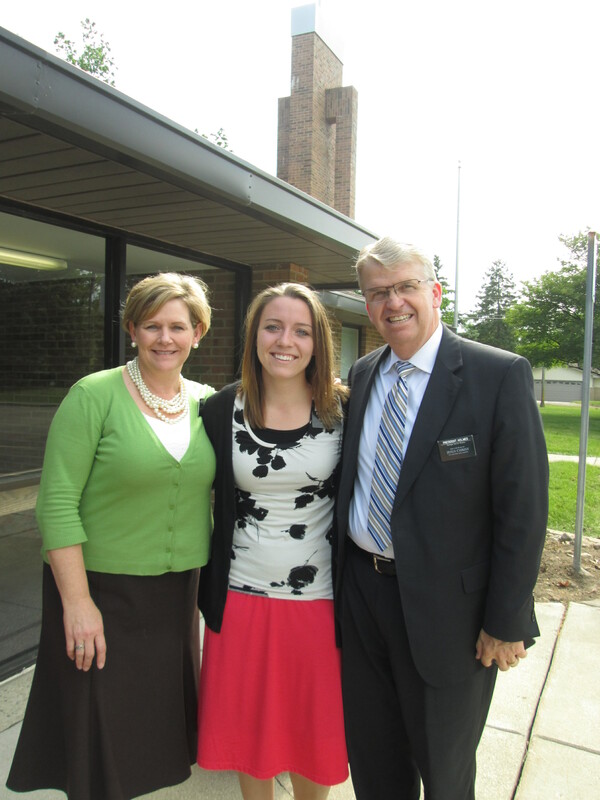 President and Sister Holmes gave some great insights about the importance of the gospel cycle. Continuing to exercise faith, always repenting and striving to be better, renewing our covenants (promises) we make with the Lord as we partake of the sacrament each week at church, being guided by as we qualify for the holy ghost, and enduring to the end which requires faith etc. It’s an upward spiral staircase (like the one in our house now!). happiness to her progress and to see how happy SHE is. She is doing so well! She has so much faith and is so inspiring. I’ve been reflecting A LOT on my experience here in Michigan thus far and I truly have been blessed to come here and I KNOW that the Lord needed me to come here. It was really really hard to see that first arriving. But as I tried to swallow my pride and desires and submit myself to Him-the miracles became more evident and my heart is full of gratitude. This saturday was a mission conference/special intstruction. Elder D. Todd Christofferson of the 12 came along with Elder Seldon, Elder Vanecuela, Elder Maynes of the Seventy and Elder Davies in the presiding bishopric. 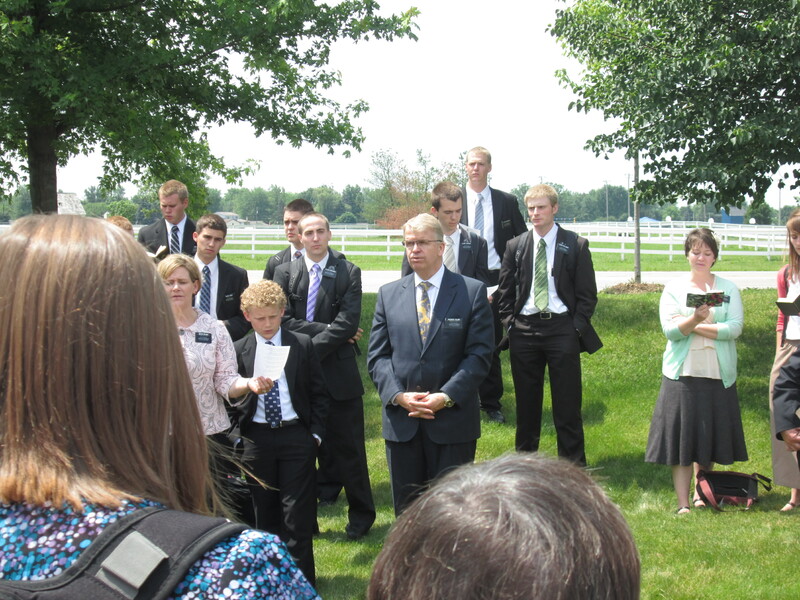 They were down for a special priesthood leadership training for 10 stakes and we were lucky enough to be able to hear from them for 2 hours before their meeting began later that day. The whole mission was there and we got to hear from each one of them. INCREDIBLE. We got to shake their hands too, I told elder Christofferson I was from bellingham and he’s like “Oooh way up north eh? that’s wonderful” and he patted my elbow 🙂 hehe I was happy. They each spoke a lot about our identity as children of our Heavenly Father and as missionaries we have that authority given to us to be representatives of Jesus Christ. We should never doubt ourselves but remember who’s church we’re emissaries for-Christ’s church. And even if people choose not to believe or accept what we have to share, that we open our mouths and invite all to come unto Christ. 2nd Nephi 25:26-is what comes to my mind when thinking of that. and pray to know if the Book of Mormon is true SINCERELY wanting to know….guess what? We WILL receive an answer that it is true. all makes me laugh. Anyways great conference, the spirit was so strong and I felt SOOOO edified. in a few months before I go home. Hence the 4 mission presidents-WOAH! Lord needs me here for another purpose…yes He does. still doesn’t even know anything about the mission/ let alone the state of Michigan will be training her by myself. and try and pick up where they left off. I haven’t been driving yet assuming I’d be leaving for Brazil any day and now I’m a trainer. ready to train after this transfer! CRAZY! that he felt very strongly that this was a good thing. And it is according to the Lord’s will. So….anyways that’s my update. my thoughts than your thoughts. So are thoughts are not His thoughts, and our ways aren’t His ways. Loves us and we can trust Him 🙂 So that’s what I’m going to do! I love the Lord. I’ll send another email once I get to my new area with my new address. With President/Sister Holmes LOVE THEM! 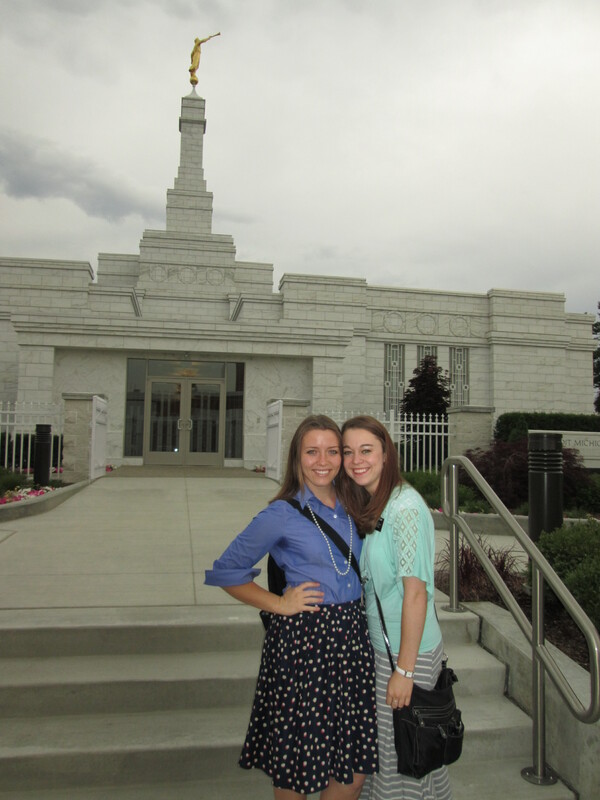 We went to the temple Thursday . I listened to the session in portuguese SOOOOO cool. Can’t wait. 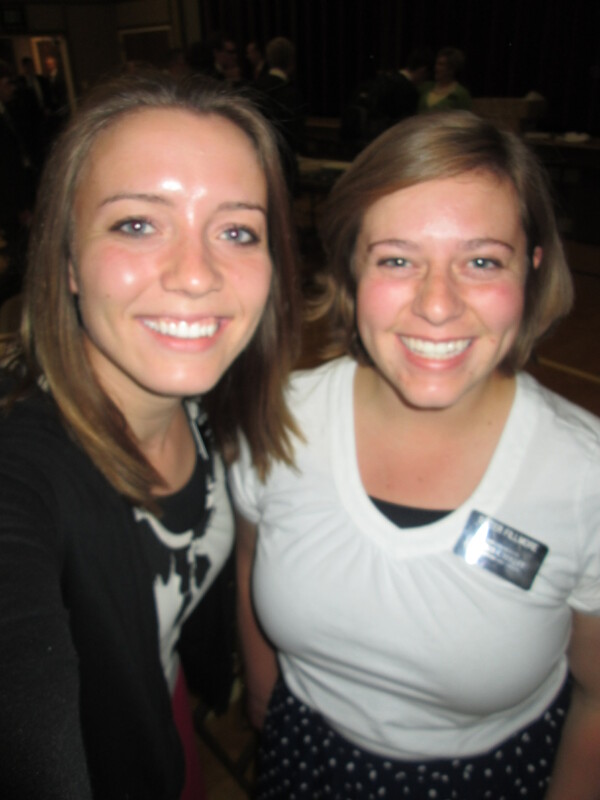 We went to the temple thursday and sister Remy was there. It’s pouring outside. There are massive puddles everywhere and people are soaked walking out of their cars into a store/building etc. I thought we were going to hydroplane earlier as we drove here to email haha. SCARY. So glad to hear everyone back home is doing well and thanks for you others that have sent me letters and emails I’ll try and get back to you as soon as I can. I feel so loved. THANK YOU for all of the support encouragement and prayers. This week was interesting. Sister Smithson our companion who dislocated her knee (twice with her right, 5 times with her left) went home to get surgery. She’ll be gone at least 6 months. So now it’s just sister Thompson and I for this last week of the transfer here in Grand Blanc and then come tuesday the 18th….we’ll see. I could move or stay-not sure what president will decide. But I’m going to have to be in a trio because my visa could come at any time and then I’m gone leaving my companion so we’ll need 2 others to be with me. I’ll let you know in a week! 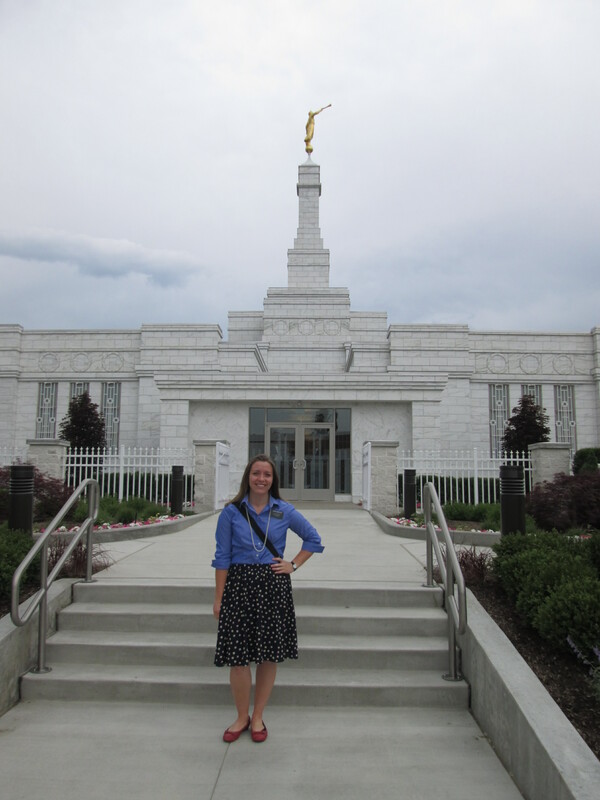 Zone conference and the Temple!!!! Zone conference was absolutely incredible. I swear President Holmes could be an apostle. I’m sure most missionaries feel like that about their presidents haha but it’s true. These are inspired men that receive revelation as to what they can do to help guide, oversee and strengthen these missionaries! So grateful that I had the opportunity to come here to the MDM (Michigan Detroit Mission) and meet President and Sister Holmes. They are incredible and have really shown me a lot of love being a visa waiter and all. At zone conference we discussed about conversion and how we can TRULY become more consecrated missionaries. I realized that my heart hasn’t been in the right place. To put it simply-I came here because I got reassigned because my visa didn’t come through yet. I was disappointed but excited thinking that this would be a little pit stop/adventure until I got to my REAL mission etc. 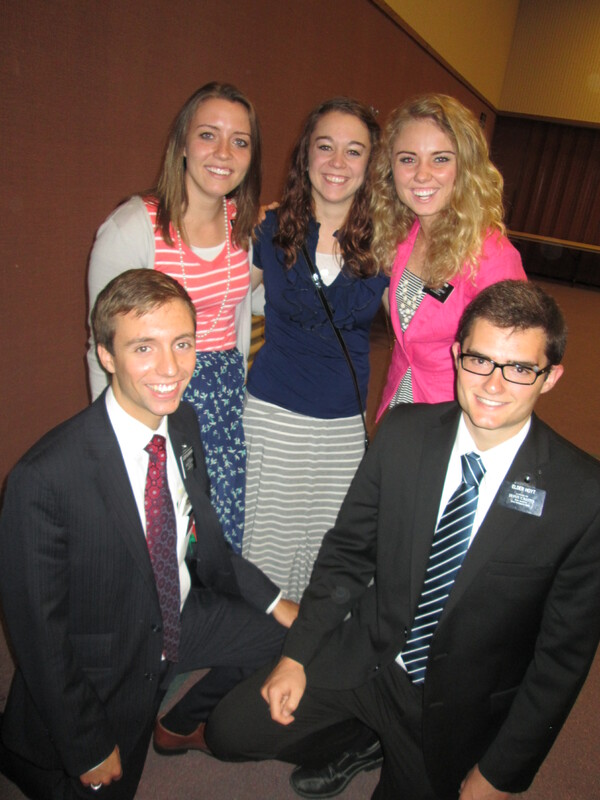 But the fact of the matter is, I am still a missionary. No matter where I go and for how long I’m there. Since I’ve been here in Michigan I haven’t wanted to accept that. I know now that I truly am an emissary of the Lord and wherever He wants me to go, I’ll go and be what He wants me to be. It doesn’t matter what I want, I’m not here for me. I’m here for Him, to serve and to invite others. Needless to say I’ve done a lot of praying, pondering and re-evaluating and I’ve felt so much better as I’ve done that. It’s not easy, people continue to ask “when are you leaving for brazil?, how long are you here?, oh it must be hard not being able to speak Portuguese like you did in the mtc etc. when do you find out about your visa?” and when I used to get so depressed thinking about all of that, now I just respond “I don’t know, the whenever the Lord needs me to go. It’s in His time, He has a plan and right now that plan is me being here”. So lesson learned: This isn’t about Me. It’s about the Lord. And the people I am serving. So let it go and work like you’re here forever. Love you all! May God continue to bless you each and every day as He already does if we but look for the tender mercies-they are there. Heyyy family! This email’s going to be more structured…I’m going to try anyway. Tuesday we had exchanges and they were AWESOME. Sister Jones (who is a sister training leader/aka sister coordinator) came up to grand blanc with us and sister smithson went down to rochester. Sister Jones is awesome! She’s such a go getter and a desire to WORK. Love it. Very inspiring and she was so loving, I want to be like her. Rock solid, puts the Lord first no matter what, done deal 🙂 I like it. Yes people. I had my first tornado warning/alert in real life! 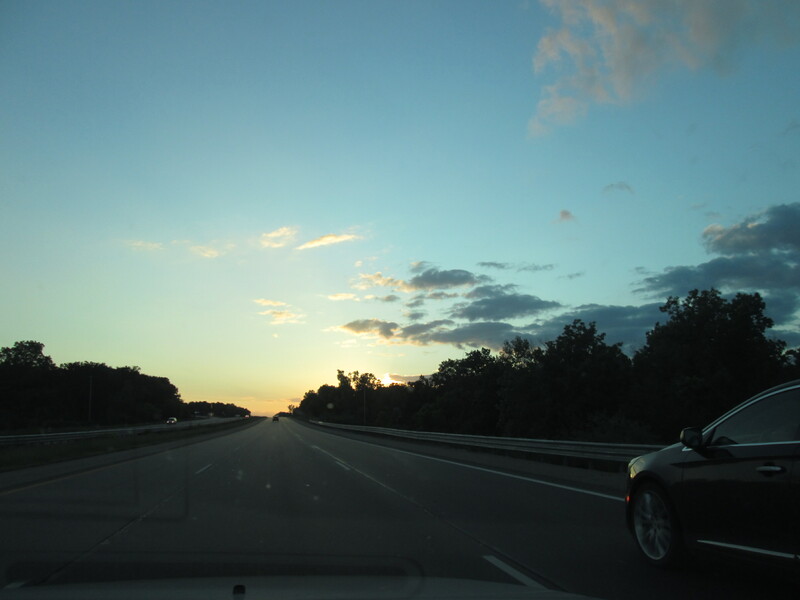 We continued to drive back to our apartment. And my eyes remained wide as I looked at the sky and saw the big dark clouds looming over us. We have thunderstorms a lot this time of year so I hadn’t really noticed before. Anyways we got back to the apartment and the sirens became louder and more frequent. We called our district leader and he told us to find a basement and stay away from windows. Well our apartment is on the 2nd floor and we have windows so we called the members that live right next to our complex and they told us to come down and wait out the storm with them in their basement haha. I still couldn’t believe this was really happening. We were there for about an hour. Lightning kept flashing and thunder….a ton of rain and then nothing. The storm passed right over our heads. Literally. On the news were told that 2 streets needed to take immediate shelter and one of them was ours HA! 3 tornadoes touched down that night in our area but luckily no one was hurt. Minor damages from what I’ve heard a few signs and what not. Anyways so after the big storm passed we went back to our apartment and a couple hours later the sirens went off again then stopped. And the rest of the night we had a giant thunderstorm so loud that the booming thunder woke me up and I couldn’t fall back asleep. I was terrified. I prayed, A LOT and of course we were fine but I felt like a little kid that night haha my goodness. But fun story right? Anyways so the rest of the week was pretty normal besides the weather. Michigan weather is very moody. Like a teenage girl to put it simply. It’ll be sunny and clear and warm in the morning. Within an hour huge rain clouds and thunder then it POURS. I love being the junior companion and backing in the rain (missionaries will get this). And then it’s back to sunny and clear within the next hour and everything’s practically dry except for me…. haha oh well just adds more the experience. We had 2 less actives come to church Sunday that hadn’t come in several months! One of which I was guided by the spirit and I would tell the story but it would take too long. Basically the spirit will totally prompt you to do things that you are unsure of, or uncomfortable with. This week that happened and because I acted on that prompting and really tried to be more persistent rather than just giving up, One of our very less actives came to church and loved it by the way. I am so grateful that I acted on the prompting. I didn’t know that she would for sure come to church, but I know that had I not acted…it’d be the same old weekend routine for her not being there. God uses us as instruments in His hands to help and serve others. It is so fulfilling and joyful. It’s weird to think that what I do all day is serving…but it is. As missionaries we have a responsibility to help these people come unto Christ. To receive the blessings that come from living the gospel and to return back to our Father in Heaven. I didn’t come here to take the responsibility lightly, and I hope we all realize how important our message is. If we don’t invite or open our mouths, people will pass by without having an opportunity to hear what we can share with them right now. How we’ve each come to know that the book of mormon is true, and/or how God has restored the fulness (not parts) of His gospel to the earth by a living prophet! There are so many things we can share. Even something as simple as that we know that the gospel blesses families and they families can be together forever. Another cool experience with the spirit. We were out finding/tracting and it was almost time to go for curfew and we hadn’t really gotten to talk much with anyone sadly. I continued to pray to be guided as to where we needed to go. I had seen a house earlier and it seemed like we should go there but I thought we’ll get to it if we have time. Again later there was the house and I asked my companions what they thought if we went to it and they both agreed that we should. We went and little did we know a inactive girl lived there. 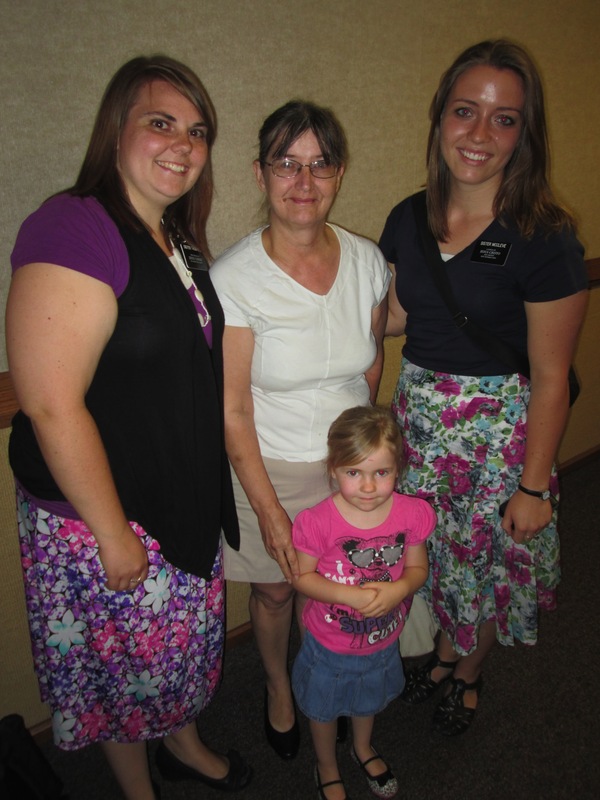 We were able to talk with her and were so surprised to find out that she was a member and her brothers had even served missions.We were able to share a scripture with her as we talked too. Her boyfriend didn’t seem to thrilled to see us on their doorstep but she seemed happy to see us. I think we’ll try and stop by there again. Here again is one of those experiences where a seed is planted, I don’t know what’ll happen with Alex (the girl) but I knew God led us to knock on her door that night for whatever reason He had. I’m grateful to be apart of this work. I love you all. Little miracles happen every day out here as they do with all of us. I know that as we strive to exercise faith and align our will with God’s we will be blessed. It’s easy to ask for our circumstances to be changed but through God we can change our circumstances- I know this is true. 🙂 I hope you all remember that through hard times.